Native Americans are disproportionately affected by the criminal justice system, but often live in rural communities farthest from “access to justice” resources and reentry legal services. After meeting Judge Abby, Chief Justice of the Yurok Tribal Court, the tribal court for the largest surviving Tribe in California, and learning about her incredible approach to restorative justice and wellness in her court, Root & Rebound realized we shared a vision of justice that believes in human dignity and restoration, and together we set out to build something that could make reentry legal advocates accessible to tribal members with records across the state. 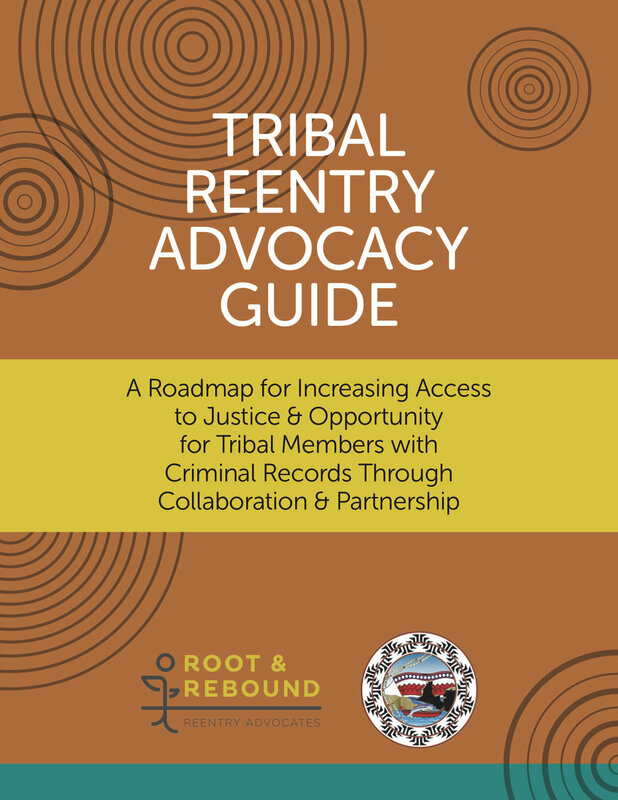 Together we built the Tribal Reentry Advocacy Project, in which Root & Rebound partners with tribal and rural community groups and leaders to ensure that our holistic and mobile reentry legal support is accessible to all. After two years of providing legal clinics and trainings with our tribal partners, the collaborative has developed a new best practices guide for those looking to expand access to justice for tribal communities most impacted by mass incarceration and its collateral consequences. By sharing out R&R’s learnings, this Guide is meant to be a starting point for legal practitioners, Tribes and Tribal governments, philanthropists, and community-based organizations seeking to expand access to justice in indigenous communities across the United States. Please email Faride Perez-Aucar at fperez@rootandrebound.org to learn more about the Tribal Justice Project and our upcoming trainings on tribal reentry advocacy! April 22nd webinar: From 9:30am - 11:30am PST, the Yurok Tribal Court and Root & Rebound will be co-hosting a training available as an online webinar and in-person via the Practicing Law Institute in San Francisco, CA. (MCLE credit will be available for attorneys). RSVP link coming soon! Email fperez@rootandrebound.org to receive updates. Root & Rebound clinics are free and open to anyone with a criminal record. You can live in any county to attend. To see our full calendar of clinics, trainings, and events, click here. February 9th: Clinic will be from 12 p.m. - 4 p.m. at the Consolidated Tribal Health Project’s Wellness Center (6991 N. State St., Redwood Valley, CA 95470). RSVP here or call 510-279-4662. February 10th: Clinic will be from 11 a.m. - 3 p.m. at the Lake County Building (255 N. Forbes St., 1st Floor, Lakeport, CA 95453). RSVP here or call 510-279-4662.